– I just want to be in nature. – I just love this place and I want to give back. – I’ve made so many friends and met such interesting people. That’s what volunteers across the North Olympic Peninsula say when they volunteer for the environment. You’ll be surprised how many different kinds of opportunities there are right here on the Peninsula. Whether you have a few hours, or are looking for a regular activity, there are plenty of choices. Scroll through the listings below to find just the right fit for you. State agency managing fish and wildlife in Washington. WDFW welcomes volunteers who want to assist in activities that benefit fish, wildlife and habitat. Click on link above to view projects and contact information. This webpage is compiled and maintained by WSU Extension in Jefferson and Clallam Counties to promote environmental volunteerism on the North Olympic Peninsula. Organizations with an environmental education or stewardship mission are included. If your organization has an environmental education or stewardship mission and would like to be included, please send email to laurel.moulton@wsu.edu. 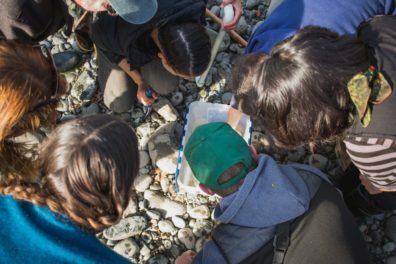 Funding for this project comes from the Puget Sound National Estuary Program project: Engaging the Community in Strait Ecosystem Recovery (NTA 2016-0107).